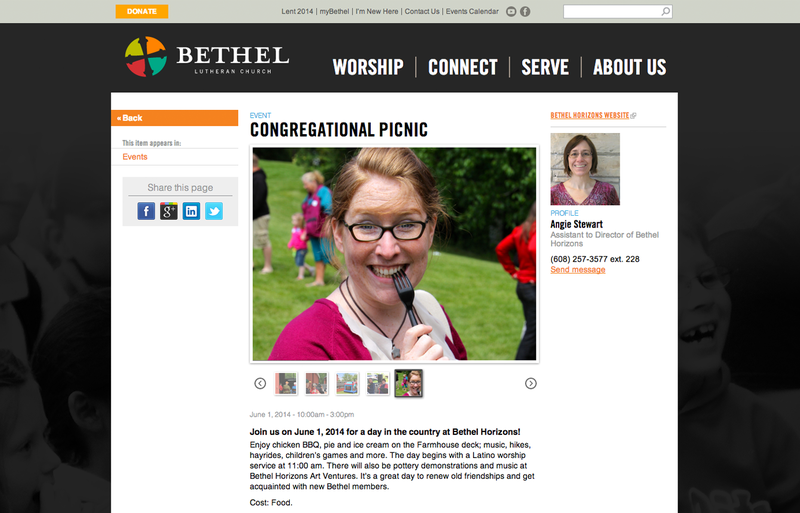 My first major task as Communications Director at Bethel Lutheran Church was to redesign their logo and identity. My inspiration came from a cross design that is repeated in the sanctuary woodwork. The traditional yet modern shapes designate Bethel's main areas of service in living, loving, serving & thriving. 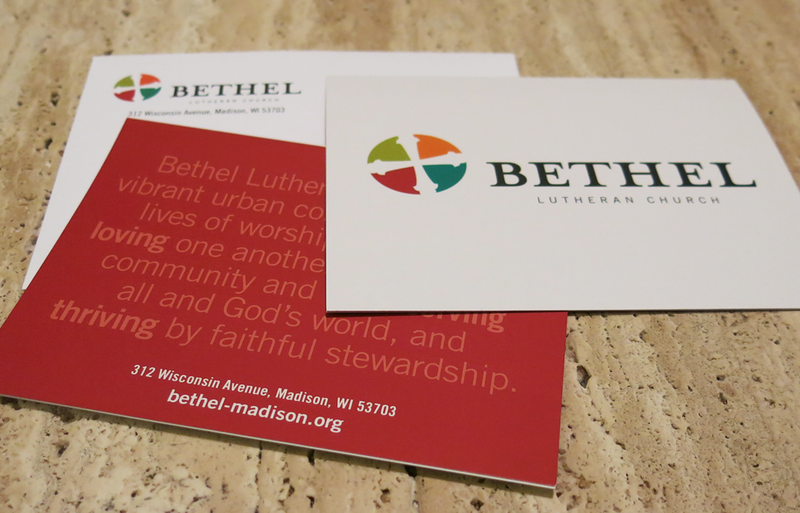 The vibrant coloring and the slight tilt of the icon is meant to reflect the creative energy of downtown Madison, where the Bethel campus is located. 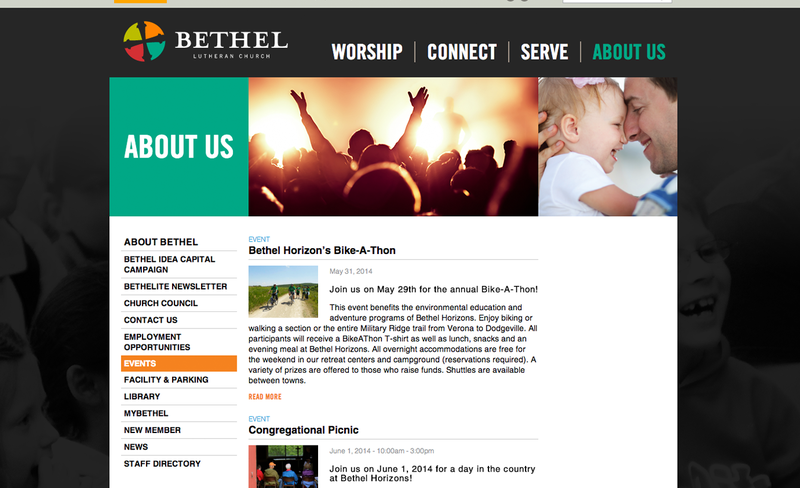 I also led a website redesign for Bethel in 2014. I provided art direction for the web development firm, created build-out graphics, trained staff on CMS and introduced to the congregation. Web applications that communicate with the church database allow users to create profiles and access member data, event registration and online giving.